Greg is an aspiring actor who befriends a strange man named Tommy, who also aspires to be a star. After a short while, Greg and Tommy move to Los Angeles together. After a long series of rejections, they decide to go outside the system and make their own movie, which Tommy will fund with his mysterious, unknown source of wealth. Little did they know, they weren't just making a movie, they were making history. "The Room" is a cult classic and is a perfect example of how doing everything wrong can turn out oh so right. "The Room" is not a 'good' film in the traditional sense, but to us and to many others, it is a masterpiece by being a disasterpiece of epic proportions. "The Disaster Artist" is the story of Tommy Wiseau and Greg Sestero, played in the film by James and Dave Franco, whose chance meeting and friendship ignited a series of events that led to the creation of the best worst movie ever made. It is a story that is so weird you'd call it unbelievable if you didn't know it was true. 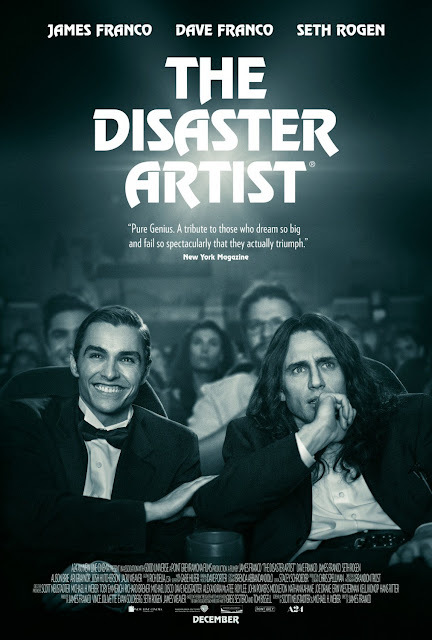 This film is directed by the aforementioned James Franco and is based on the non-fiction book "The Disaster Artist: My Life Inside The Room, the Greatest Bad Movie Ever Made," written by Greg Sestero. Joining the Franco brothers is an ensemble cast of talent including Seth Rogen, Alison Brie, Ari Graynor, Josh Hutcherson, Jacki Weaver, and so many others that have minor cameos throughout the film. Now, seeing "The Room" may not be required to watch "The Disaster Artist," but it sure would give you a much greater understanding and appreciation of the key players involved and explain just how bad their movie was. We highly recommend seeing "The Room" first before venturing into this newer film. If you're like us, fans of the Tommy Wiseau classic, "The Disaster Artist" is an absolute dream. It really allows the viewer to get an inside look at Wiseau, Sestero, and how "The Room" came to fruition. Franco's flick explains the quirks, the craziness, and the oft-misguided passion that allowed the best worst movie of all time to flop yet somehow thrive after almost 15 years. It still leaves Tommy shrowded in mystery, and apparently, his secrets are still not revealed to this day. Questions like where does he actually come from, how old is he, and where the hell did he get six million dollars to make this movie are never answered, and quite frankly, this is part of it, and his, bizarre charm. James Franco fully channels Tommy in mind, body, spirit, and essence. He gives a transcendent, Oscar-worthy performance that embodies the living caricature that is Wiseau. There are some moments when the two are indistinguishable. James Franco is also able to capture the outward confidence, the inner insecurity, and the intense jealousy and loneliness that plague Tommy as a person. Dave Franco becomes Greg Sestero. He mimics Greg's timidity and reserved nature perfectly, but is also able to portray Greg in his most frustrated and angry moments as well. The Francos and their supporting cast had us laughing endlessly from the opening interviews to the closing credits, sometimes to the point of tears. This was rarely achieved for us during 2017's slew of unfunny, terrible comedies. "The Disaster Artist" is equal parts hilarious, tender, adoring, and impactful all at the same time. It's a love letter to a man who gave it his all and still completely failed... or did he? It is abundantly clear that the Franco brothers and producers Seth Rogen and Evan Goldberg have enormous amounts of adulation for the infamous man, myth, and legend that is Tommy Wiseau. Their project may mock a little bit, but it never punches down at the making of his now notorious work of cinematic art. Even if you have no outside knowledge of "The Room," it's hard to deny that "The Disaster Artist" is a genuinely fantastic, ironic, and poignant film about pursuing your dreams and never giving up, even if you aren't very talented and especially if you have a weird friend who has a mysterious source of obscene amounts of disposable income. It's an ode to dreamers, to friendship, and to not getting torn apart.